In this edition of the e-newsletter the Two Red Roses Foundation is pleased to announce the acquisition of an important archival collection from the estate of Arthur E. Baggs. The Two Red Roses Foundation is most fortunate to have received a significant donation of archival and personal papers, letters, business and technical notes, books, periodicals, photographs, catalogs, bulletins, pencil sketches and watercolors belonging to Arthur E. Baggs (1886-1947), widely recognized as a leader of the American Arts and Crafts movement's regard for and the growth and popularity of pottery and ceramics. As a talented but inexperienced 18-year-old studen, Baggs was hired by Dr. Herbert J. Hall in 1905 to teach pottery at a Marblehead, Massachusetts, sanitarium for patients with nervous exhaustion. Baggs's pottery classes were part of an innovative craft therapy program Hall called the Handcraft Shops. What began as a summer job evolved into a full-time career as Baggs's talent and dedication to the shop were recognized. By 1907 "Marblehead Pottery," as it came to be known, was accepted in important Arts and Crafts exhibition in Boston, New York and Chicago. Then, as now, major examples of Marblehead Pottery were highly regarded. This priceless collection of archival materials spanning more than 3 decades is the generous gift of Mr. Baggs' granddaughters, Ms. Laura Bretas and her sister, Sarah Saleh to whom the Two Red Roses Foundation is forever grateful. This large and varied assemblage of materials was painstakingly organized for the Baggs family by Ms. Susan Montgomery, Ph.D., in Massachusetts and then delivered to Rago's Auctions in Lambertville, NJ. 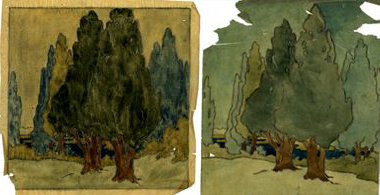 The auction house selected some of this archival material, primarily drawings and watercolors, to be auctioned off in their March 2008 sale. TRRF made a commitment to reunite the material being offered for sale with the rest of the archives and purchased at auction all these lots. The archives are now complete. This archival material provides a dramatic backdrop for TRRF's outstanding collection of Marblehead ceramics which includes fourteen vases and more than a dozen tiles, many designed and executed by Baggs. TRRF has begun the task of entering in the Library database all books, bulletins, catalogs, magazines and periodicals found in the archives. An ever-growing list of this material can already be found in our webpage. A professional librarian will catalog all other documents and personal papers, which will be made available to scholars and students once the Library of the Museum of the American Arts and Crafts Movement is open to the public. 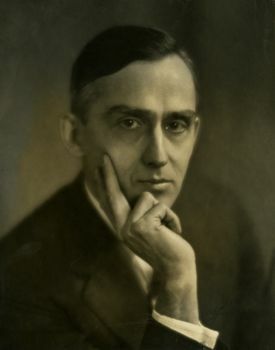 William Seltzer Rice, Pride Steps Forth, 1930. We are pleased to announce that the Two Red Roses Foundation is participating in the exhibition "Strut: The Peacock and Beauty in Art" produced by the Hudson River Museum in Yonkers, NY. The exhibit runs from October 11, 2014 to January 18, 2015. 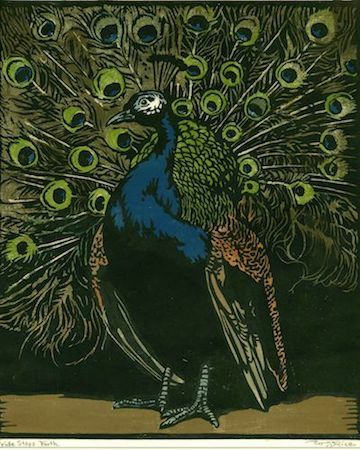 The TRRF has loaned a beautiful woodblock by William Seltzer Rice that portrays a stunning and colorful peacock. 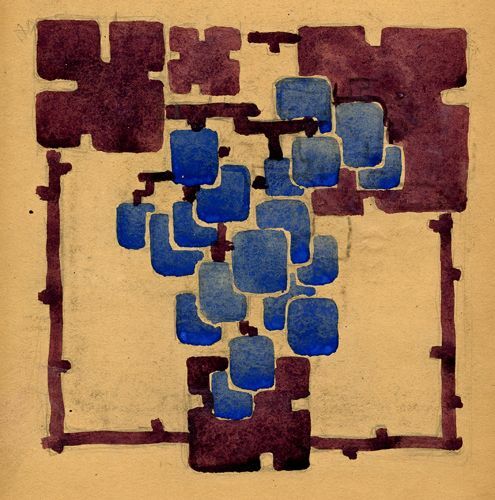 Top row: James Prosek, Peacock and Cobra, 2013; William Giles, Sic Transit Gloria, c. 1924; Brian Stephens, Sing something here, 2014. Second Row: Laurel Roth Hope, La Reina, 2013; Vladimir Pavlovski, Peacocks, c. 1925; N.C. Wyeth, Captain Nemo, 1918. 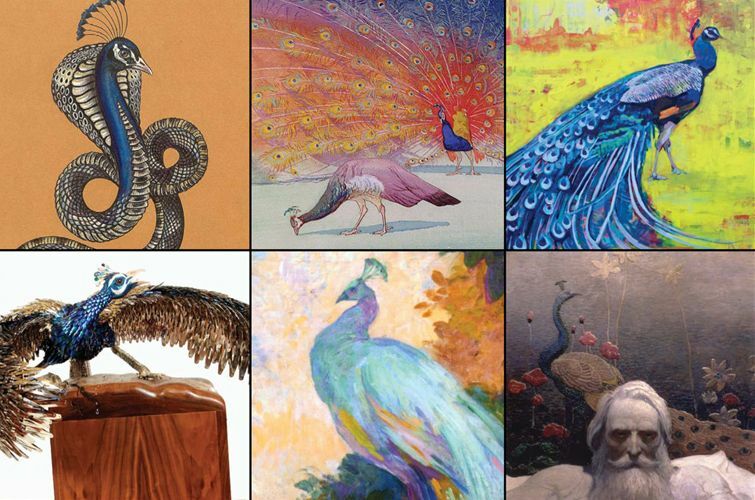 Strut: The Peacock and Beauty in Art explores our fascination with this most glamorous of birds, a symbol of vainglory and the darling of designers and painters. 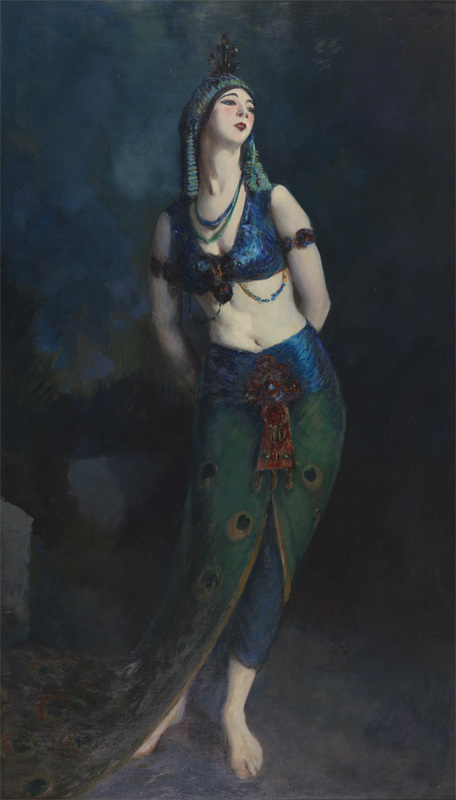 Strutting in its sapphire-blue and emerald-green feathers, the peacock symbolizes all things vain and beautiful in centuries of painting, sculpture, in books and myth, and on clothes that swirl and shine like the iridescent bird itself. Intrigued by the exotic art of Asia that prized and portrayed the peacock, Western artists and craftsmen chose the peacock as a multi-faceted motif for designs on canvas and for objets d'art in the home. "Students, collectors, curators, and auctioneers will find the illustrated essays on Karl Kipp (The Tookay Shop), and the Roycrofters Shop particularly enlightening... 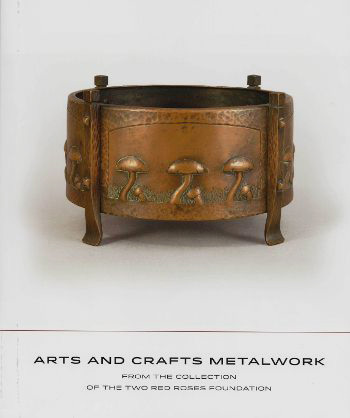 This book, with it's up-to-date bibliography of books, catalogs, and vintage magazine articles is a good edition to any decorative arts library". You may purchase this manuscript as well as other exhibit catalogs and collection books from the Two Red Roses Foundation website or from .